Laura runs the blog peanutsandcacahuetes.com and is a french girl living in London after studying International Management in Germany (Jealous!) It's time to sit back, grab a cuppa and get ready to get to know Laura. Hi everyone! My name is Laura, I’m a French girl leaving in London since 2015 (it will be 3 years at the end of August actually!). I was studying International Management in Germany and decided to come to London after I graduated to start a new adventure! I love to challenge myself and push myself out of my comfort zone (an easy thing to do when you are shy like me) – so I decided to come to London without ever coming to the city before and without knowing anyone. It was scary and exciting at the same time! BUT this was a great challenge and I’m glad I did it! No regrets! I loved it! I wanted to talk about a bit of everything in my blog and the first image that came to my mind was a bowl of peanuts that you share with friends while you’re talking about the whole universe. So I thought peanuts would represent the idea of discussion and exchange perfectly. 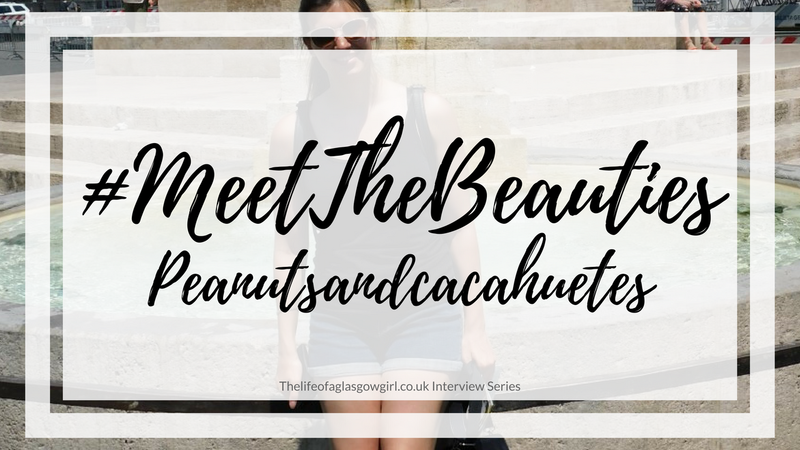 I also wanted something that represented both French and English, as I’m French but I write my blog in English so I added and cacahuetes (which means peanuts in French). And tadaaaaa Peanuts and cacahuetes was born! 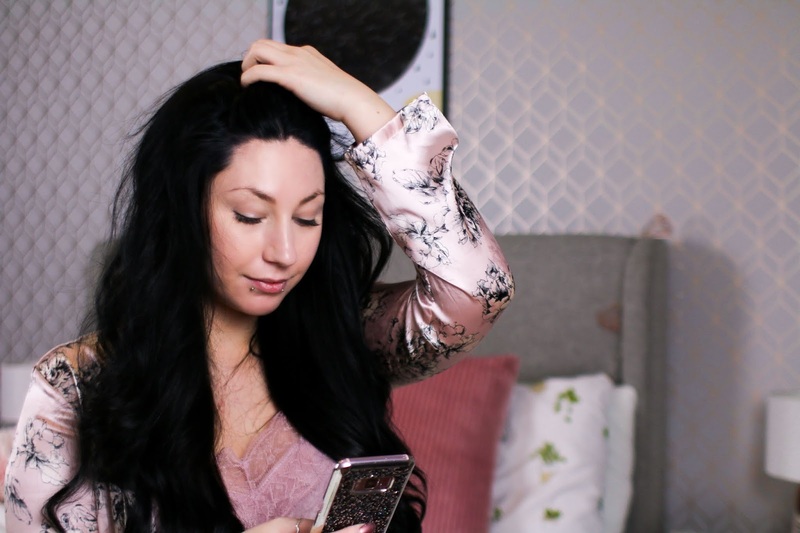 I started blogging fairly recently! I started with a blog for food and recipes only, but after 1 month I wanted to add more content on different subjects, so I created peanutsandcacahuetes.com. My baby blog, like I like to call it, is 1.5 months old only. I’m still in the phase of discovering how everything works, trying to figure out my niche and what exactly I want to write about. I like to share with people. I like to share ideas, experiences, opinions or emotions, and I think blogs are the best way to create discussions and exchange worldwide with people from different cultures, with different background and different opinions. This is the main reason why I started Peanutsandcacahuetes.com. I’ve seen a lot of people living from their blog: something I didn’t even think was possible. So if I could live from my blog in the long term, that would be awesome. But well, let’s see how it will turn out! I like surprises, so let’s see what the future has for me! As I mentioned before, I just started blogging recently, so I’m probably not the best one to give advice on this. 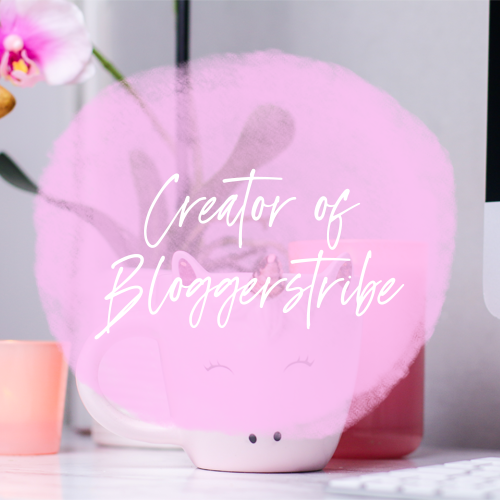 But I would definitely say to other people starting blogging: don’t underestimate the commitment you have to put into blogging! Blogging is way more work than it looks: promotion, writing, engaging, etc. But don’t let this scare you: Don’t forget why you started blogging and keep it as a passion. Don’t put yourself under pressure, otherwise you might end up hating it and give up. Last but not least: you’re not alone! 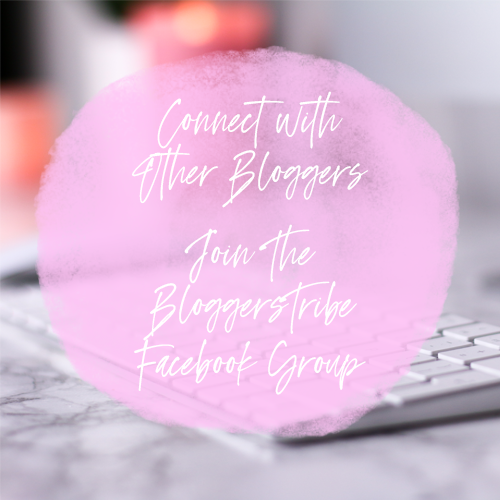 The blogging community is one of the most supportive and welcoming communities I’ve seen so far. Everyone is really supportive, happy to help and bloggers are always ready to give you advice! Everything is about helping each other reach the top rather than competition. I’m a huge fan of partner dances. I dance quite a lot of different styles including Salsa, Bachata, Kizomba, Tango, Cha cha cha, Semba (no it’s not a typo, I’m talking about Semba, not Samba). I’m actually teaching Kizomba with my boyfriend who is my dance partner. I have to admit that I didn’t realize how much promotion blogging would require. When I started with the food and recipes blog, I wrote a few posts and published them, but of course, no one was reading it. I did some research and bim! Surpriseeee! You have to promote your blog posts on social media otherwise no one will read them! Ahhhhhhhh! Good to know… (Yes, you can say it, I was really naive!) I just didn’t think about how people would find my blog posts, before I actually start blogging. The good thing is I was all set and ready when I launched peanutsandcacahuetes.com! I did research forehand, created social media channels straight away and now, here I am! I think the perfect night in would be with my boyfriend at home. We would dance a bit together, then cook something yummy (like pancakes! Or just some nibbles like nachos with chicken, cheese and guacamole). We would then eat while watching a movie on Netflix and cuddling. Let’s not forget the popcorn! At the end of the night, we would have time for ourselves. I’m generally more productive blogging in the evening, so I would maybe write content and let him play his online games (yes, he is a huge fan of gaming). I think my favorite post so far is “How to make friends as an adult?” (Link: https://peanutsandcacahuetes.com/2018/07/10/how-to-make-friends-as-an-adult/). My sister called me one day to tell me that she was feeling lonely and depressed in the new city she moved to because she doesn’t know anyone there and has been struggling to make new friends. I gave her advice and I thought: “Yes, this is it! I have to make a blog post on this!”. I was sure that my sister was not the only one in this situation, so it was a great feeling to write this post knowing that it could help someone out there! Beach! Tricky question! I’m a water person, I love swimming and bathing, but I have a little preference for the gorgeous beaches you can find in nature. Caaaaaats! I love the love they give you, the fact that they are independent (I kinda identify myself to this, as I am also quite an independent person) and their strength. I also love this sixth sense they have: they feel you. They know when you’re upset, sad or happy and they know how to react to it. Shower. Here again, tricky question as I love both, but I definitely need a shower every day to wake me up! I can’t do without! 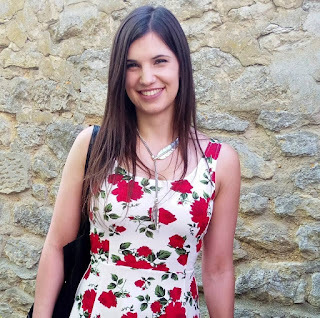 Night out: I love dancing (by dancing I mean partner dances) and you can be sure that I go out at least twice per week to do some social dancing. It influences my mood so much! It literally became an addiction with the time – the more I dance, the more I want to dance! Ohje… I can’t choose here… I love both and need both in my life. They both can make you experience such adventures and even change your mood. I can connect emotionally with both music and movies. None actually… I generally go for Ice tea peach or lemon, or fruit juices (so nothing sparkling). And of course, hot chocolates in Winter (only in Winter though)! Crisps. Give me some Doritos, give me some Pringles or any other salty snacks and I’m happy! Don’t get me wrong, I love sweets as well! But both are only for treat days or special occasions! Netflix. I actually subscribed last month! Really recent! 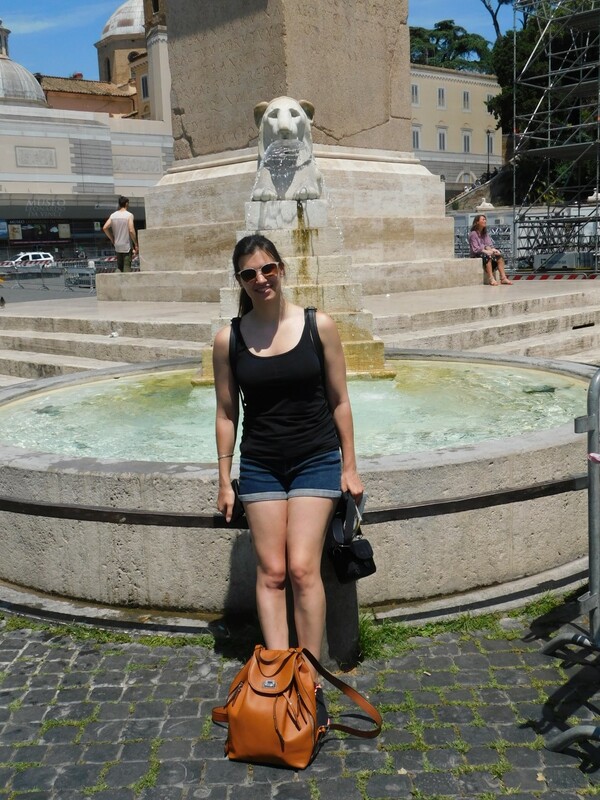 Special Thank to Laura for taking part. Thank you for letting me part of your nice series!! It was a pleasure to answer your questions!